W/G Loft designed by Rodriguez Studio Architecture P.C. is located on the 23rd Street in the Flatiron District in Manhattan, New York City. 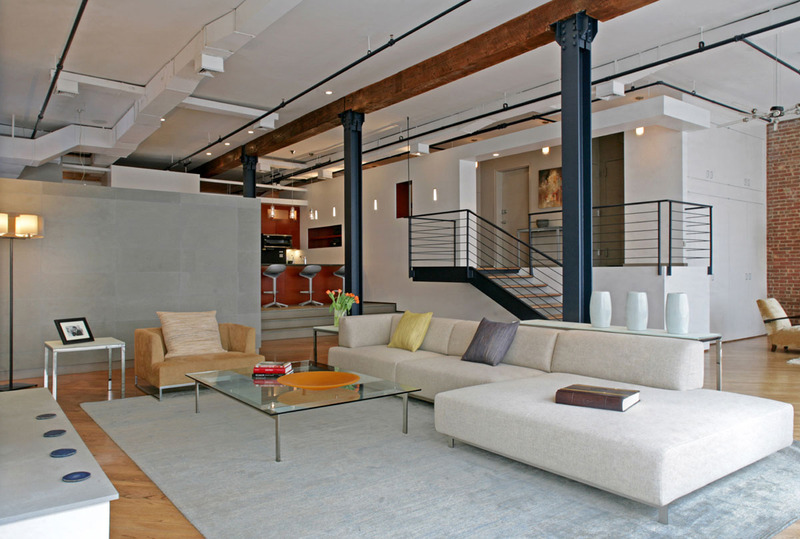 The 3,200 square foot modern loft apartment received a gut renovation with the addition of an exterior terrace. The entertaining and “public” space has high ceilings and is very open, while the personal space is more intimate. Filed Under: Apartments Tagged With: Loft Apartment, Manhattan, Modern Interior Design, Modern Loft, New York, New York City Apartment, Rodriguez Studio Architecture P.C.